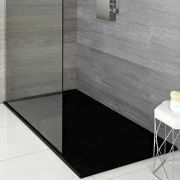 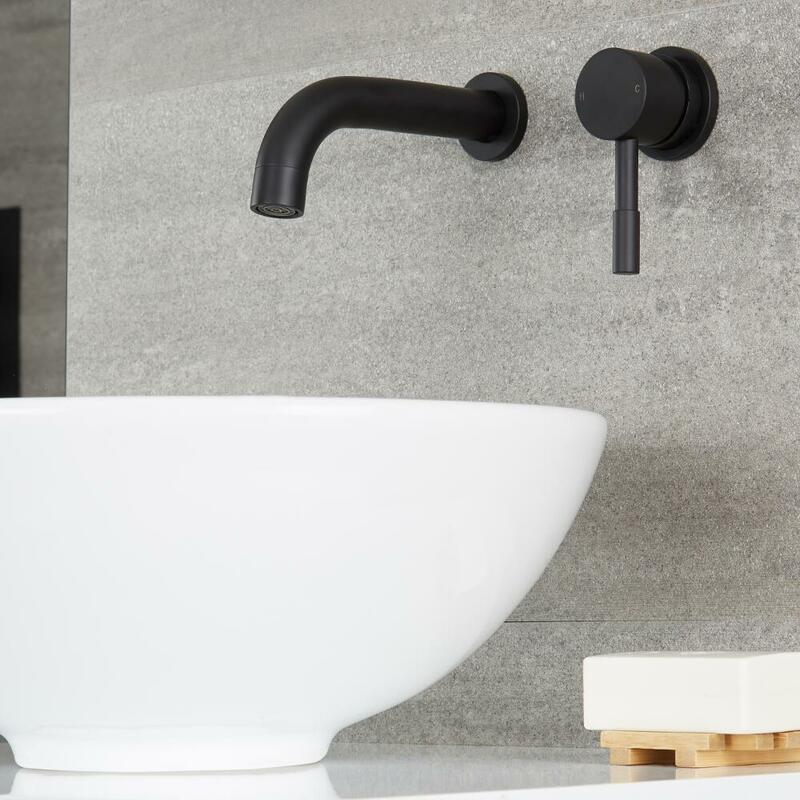 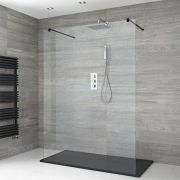 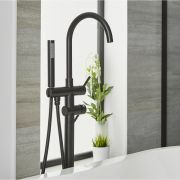 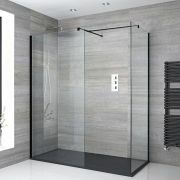 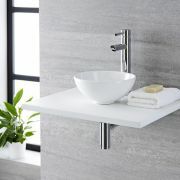 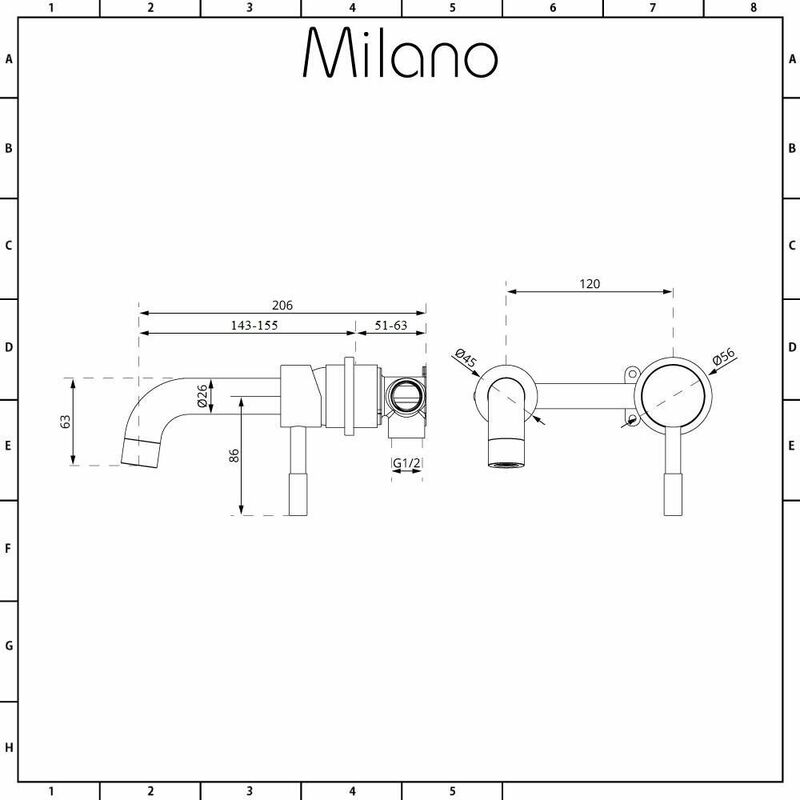 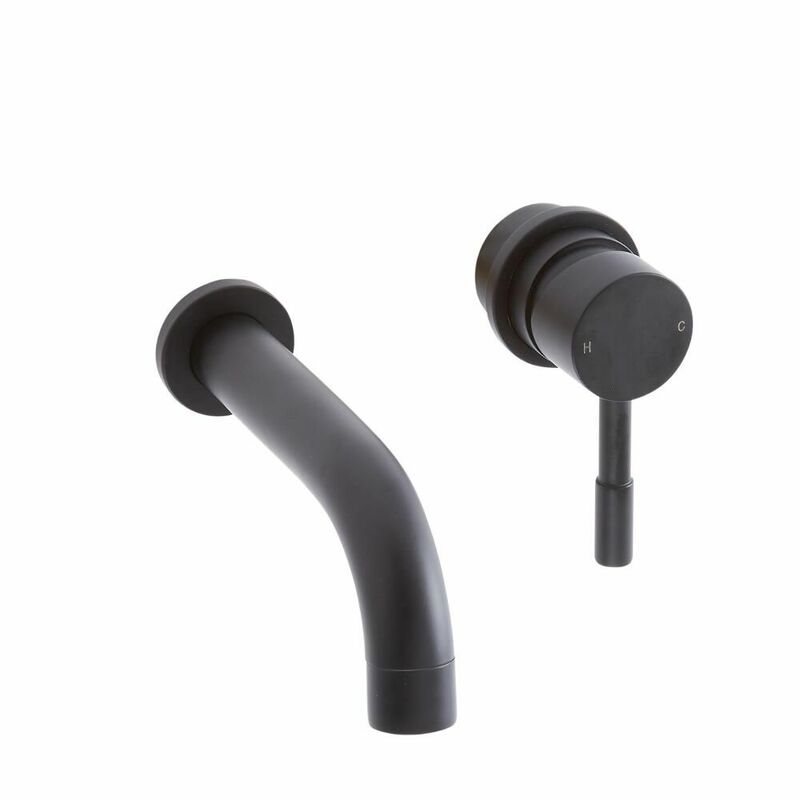 Create a minimal, on-trend bathroom with the Milano Nero black wall mounted basin mixer tap. 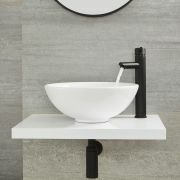 Made from solid brass to ensure great durability, this sleek and stylish basin tap features a matt black finish and clean lines. 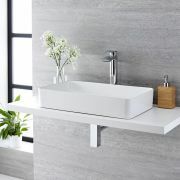 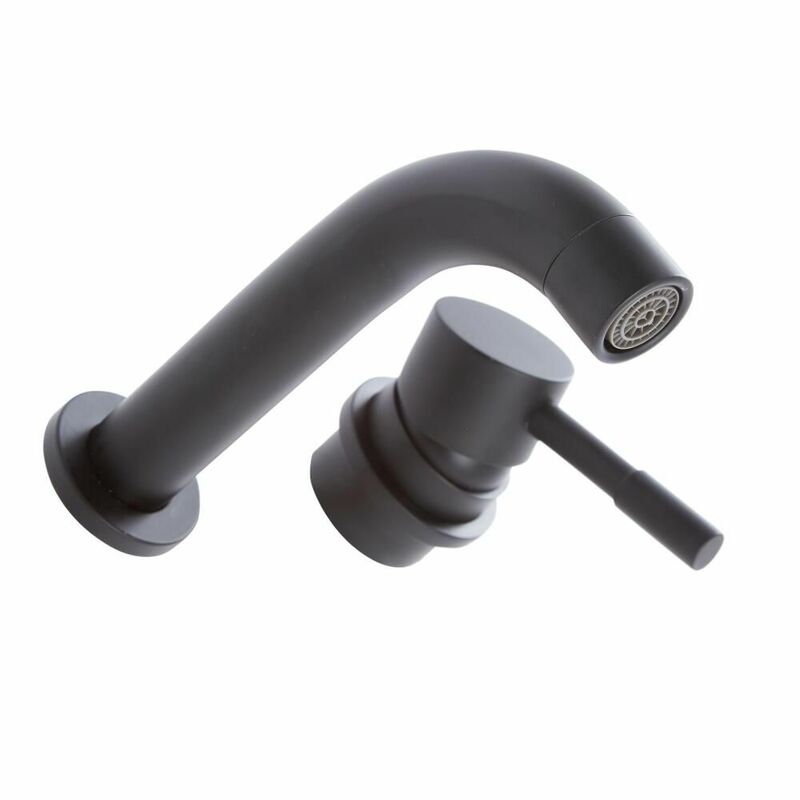 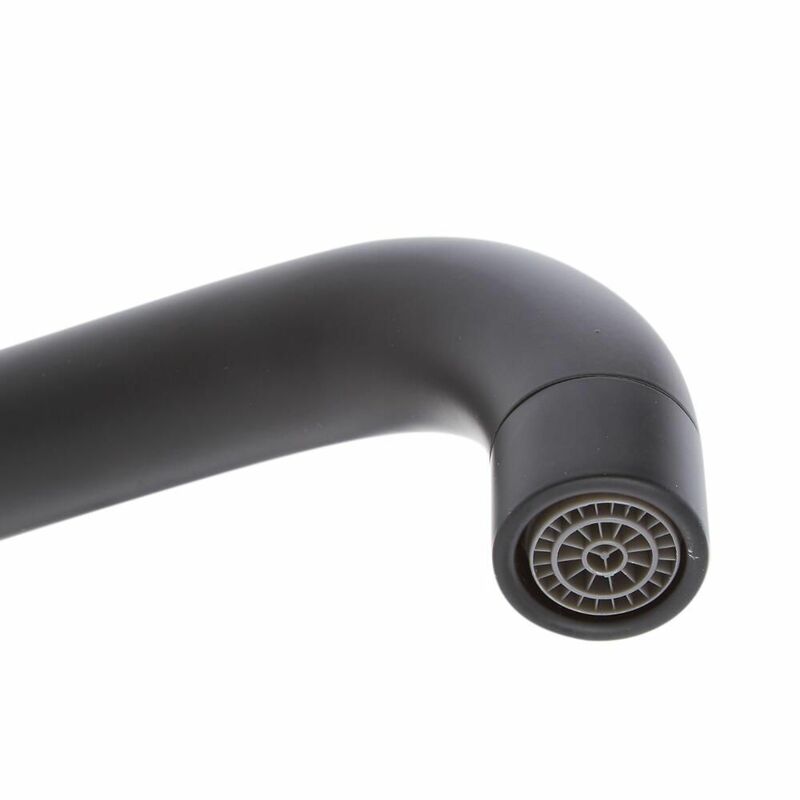 It incorporates ceramic disc technology to prevent leaks and drips and has an easy-to-use lever handle that controls both the flow and temperature of the water.